Sports-related injuries are a common occurrence for people, and an accepted part of the risk associated with playing a sport. Unfortunately, the risk of injury is much the same for our pets, even if the “sport” is playing fetch! The owners of Duke, a young Labrador Retriever, experienced this first hand when he was chasing a Frisbee one weekend, and trotted back to his dad. After a trip to the vet Duke was referred to an orthopedic specialist, who diagnosed a torn cranial cruciate ligament (CCL), which is very similar to a person tearing their anterior cruciate ligament (ACL). Duke’s CCL was surgically repaired, and after a couple of months, Duke was back to chasing Frisbees again. This type of story is more common than most pet owners realize, and unfortunately there are many issues and injuries to watch out for if you have an active pet. Every pet has a different level of regular activity, depending on their personality, age, body condition, and health. The upper tier of activity includes the “professional” athletes of the pet world – agility animals, flyball dogs, and hunting or herding dogs are some examples of these high energy competitors. The majority of our pets, however, fall into the “weekend warrior” category. These are the animals who look forward to mom and dad coming home from a long work week to spend time at the dog park, play fetch, or go for a walk. Even more sedentary pets can experience a sports injury. In fact, a dog who is typically inactive can be at an increased risk for injury if he or she suddenly breaks into a sprint after a squirrel on the back fence. The most common sports-related injuries are orthopedic, but lacerations, bite wounds and other non-orthopedic traumas can occur as well. For any suspected injury, it is best to see your family veterinarian for an evaluation as soon as possible. Some injuries can be time-sensitive and have a short window of opportunity to give your pet the best chance for recovery. For other injuries, however, your family veterinarian may recommend a consultation with a specialist to discuss options for your pet. Often patients with sports injuries will benefit from rehabilitation, or “rehab”, after treatment. Following a rehabilitation evaluation, a treatment plan may be formulated to help your pet safely return to maximum performance. 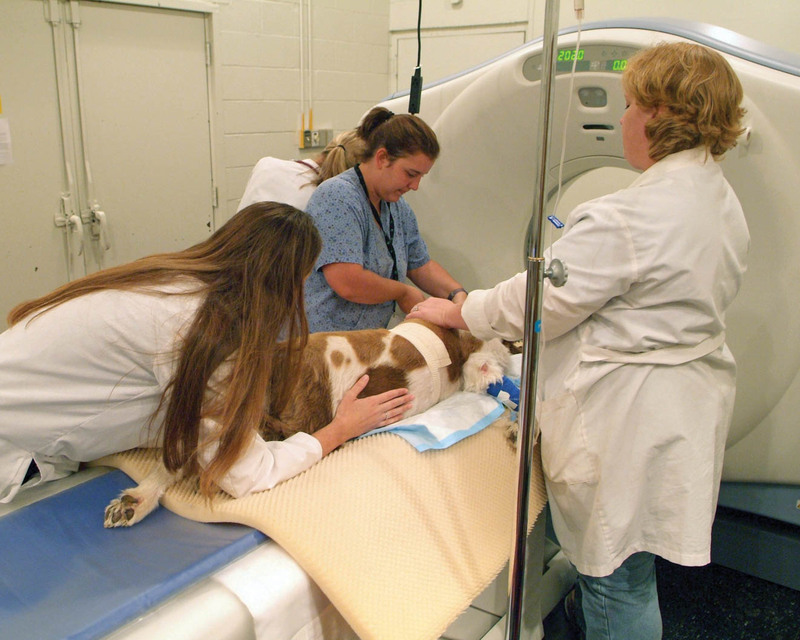 For many conditions, treatment options include underwater treadmill exercise, cold laser therapy, hands-on joint and soft tissue mobilizations, and instructions in a home program to compliment clinical treatments. No matter what your pet’s level of activity, there is a risk for sports-related injuries. Keep your pet in good body condition to give them the best tools to have a healthy, injury-free life, and monitor them closely for any signs of lameness, difficulty rising, difficulty going up and down stairs, abnormal gait, or stiffness. Check with your family veterinarian if you suspect your pet has a sports-related injury and get your pet back to playing fetch, competing, or squirrel chasing!